A Master @ Life ! Don’t wait forever to read this book! 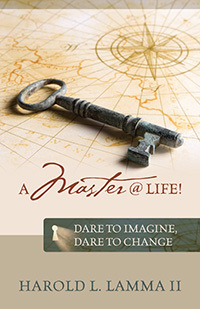 Discover in yourself the potential to master any situation or circumstance which may be keeping you from your destiny. Editorial Reviews Product Description Through the experience of one man's journey, you can learn how to transform your life into a life that you love. Learn how to: Overcome obstacles Live life to your full potential Move beyond the past Lead your own life Use the power that is hiding within Gain the promises of an abundant life Experience joy, peace, harmony and love Create great relationships Experience freedom Harold L. Lamma II, shares his life experience and lessons learned to teach, inspire and motivate people to live the life they desire and receive the gifts of happiness, freedom, abundance, prosperity, joy and peace. He was encouraged by God to share his story for the purpose of making a difference for you. Harold is very passionate about helping others find truth, guiding people to higher levels of awareness and instilling belief that they too can have whatever they desire. In a world that is seemingly difficult, confusing, and unforgiving, many people succumb to being victims of their lives, being at the effect of circumstances rather than intentionally creating desired circumstances. Certainly circumstances arise in which we have no control; however, our response to those circumstances is essential to the joy, peace, and happiness we experience in our lives. Many people reach a point in life where they find themselves stuck in a pattern that repeats itself over and over again. Just as history repeats itself, we inherently live our lives doing the same thing over and over and over again expecting different results. This is the definition of insanity. How can we stop this insane way of being? Harold believes in morality, ethics, integrity, doing the right thing, taking a stand for truth, learning from each experience and taking action to transform those ideals that hold us back. The chains that bind us are the burdens that we refuse to let go of keeping us from living a life of purpose, significance, success and realizing our full potential. This book is intended to help you lift those burdens of guilt, frustration, anger, loneliness, blame, contempt, hatred, judgment, etc. so that you can tap into the power within to live the most fulfilling life possible. You have your own unique answers hiding deep within you. Harold's writing style will have you inquiring and finding answers within yourself. He will help you find the answers you are looking for, touch your soul and move you to higher levels of achievement. 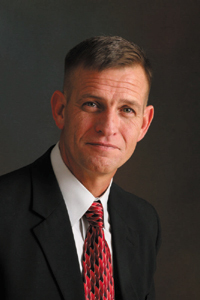 Harold has been successful in reaching executive levels in numerous network marketing companies, an inventor, spent 6 years in the U.S. Army as a paratrooper in special operations units, has participated in many specialized military schools reaching the level of expert infantryman. He is an accomplished student and completed the Primary Leadership Development Course through the U.S. Army at the top ranking of his class. Harold has experience in mentoring other business owners and life coaching. He has a natural ability to motivate, coach, and mentor people. He has mentored many entrepreneurs and helped them take their businesses to the next level in accomplishment and prosperity; and has coached many individuals in their own personal lives, having them experience their lives as being more pleasurable and successful. He has been recognized in the Who's Who for his business accomplishments, the National Honor Society for outstanding achievement and has received much recognition for his leadership and personal development. He is the founder of Lamma Enterprises, LLC and Foundation, a subsidiary of Lamma Enterprises, LLC, whose primary goal is to equip individuals, entrepreneurs and organizations with leadership and personal development tools that empower and enable them to lead from their hearts.